Auditors who audit operators with multiples bases should conduct an on-site audit of the main base and at least one satellite base. If the operator is a management company, the auditor(s) must reference and abide by IS-BAO Policy Letter 2010-5, which describes the requirements for sampling other bases and validating processes from the main base to other bases. If the operator is not a management company, auditors should still utilize this policy letter for guidance regarding sampling and operator key process integration with home base and satellite bases. Expect a policy letter to clarify this soon and a recommendation to the IS-BAO Standards Board to include clarity in the Audit Procedures Manual (APM). 1. To conduct the audit professionally, accurately, and in an unbiased manner. 2. Not to undertake any assignments that I am not competent or IBAC approved to perform. 3. Not to represent conflicting or competing interests and will disclose to IBAC any relationships that may influence my judgment. 4. Not to discuss or disclose any information relating to any audit unless required by law or authorized in writing by the client. 5. Not to act in any way prejudicial to the reputation, interests or credibility of IBAC. 6. In the event of any alleged breach of this code, to co-operate fully in any formal enquiry procedure. This code is being integrated into our training program and auditor accreditation process and reflects the ideas which are promulgated by other respectable and widely recognized auditor certifying bodies. Some operators and auditors contact IBAC and ask for an extension to the registration. To be clear, IBAC does not grant these. If an operator does not successfully complete an audit to renew their registration before their expiration date they simply expire. However, they do have up to 6 months after the expiration date to complete an audit without having to start all over again at Stage 1. This is where the so called “extension” comes to play. This policy is clearly described in IS-BAO 1.3.3(d). Therefore, please be diligent and plan ahead to have your audit conducted sooner than later. If an operator completes a successful audit up to 90 days prior to their expiration, their new validity date remains connected to their original registration month, so you can gain up to 90 days on your validity period. See IS-BAO 1.3.3(c). Finally, some operators are choosing to delay their audit due to organizational changes, equipment acquisitions, etc. This sometimes results in their registrations expiring for a few months. IBAC recommends that you go ahead with the audit and allow the auditor to see the “real you” in the change management process. If you have weak areas during these times, the auditor should identify these and allow you to become more proficient at managing change. IBAC does not expect perfection from the operator, even for Stage 2 or Stage 3 audits. We hope to see (as the audit report indicates via evidence from observations, interviews, and document review) that the operator is continually identifying opportunities to improve their management practices and safety performance. The previous IS-BAO Newsletter provided a topic on Safety Performance Indicators. We hope you read and understand that information as it is critical to an operator’s safety performance measuring. There is another set of “performance indicators” that can be found in APM Section 5.8.3 and are called “Stage 3 Performance Indicators”. 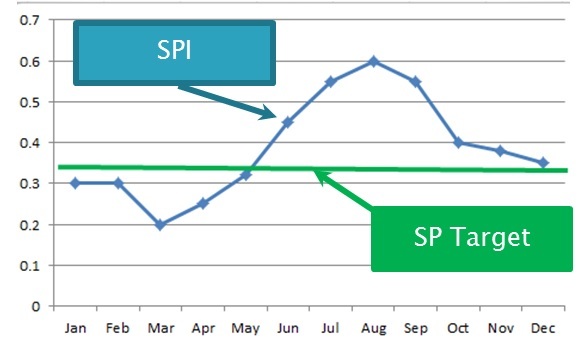 So what’s the difference between the SPI’s from last newsletter and these? 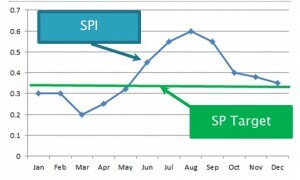 The SPI’s presented in the previous newsletter support ICAO and IS-BAO SMS Safety Assurance requirements for the operator to develop specific SPI’s to measure and analyze the rate at which certain critical safety-related events are occurring, such as the rate of: unstable approaches, TAWS RA events, GPWS events, deferred maintenance issues, service difficulty reports, etc. So how are Stage 3 SMS Performance Indicators (PIs) different and why do we need them? The Stage 3 PIs are related to the organizational culture and the auditor is required to consider these PIs when assessing an operator for Stage 3. It will help to think of the Stage 3 PIs as a culture survey, which some operators are now including as part of the internal evaluation system. Also, some auditors are indicating that they plan to conduct a safety culture survey based on these Stage 3 PIs before each audit, regardless of the stage, to provide more value to the operator and to get them aligned to Stage 3 performance (generative safety culture) sooner than later. Click the following link for a review of the Stage 3 PIs. Some auditors and operators ask, “Why does an operator need a Safety Risk Profile?” Although a specific standard cannot be found in ICAO or IS-BAO mandating the use of an SRP, it is clear that both do require the operator to proactively identify safety risks inherent in their operations and develop mitigation strategies which are integrated into their system. So how will an operator do (and document) this? The operator may choose any reasonable method they wish and what they decide to name their document(s) to support this activity is up to them. But it must be done. Before or during the gap analysis, there needs to be a determination of the key safety management issues that the company faces. This directly influences the design of the SMS. Some of the issues may be very specific to hazards encountered during specific elements of the operation. Others may relate to the challenges that have the potential to cause system safety deficiencies if not aggressively managed (e.g. fatigue management issues; the use of aircraft types that are not optimum for the company‘s operation; predictable resource-based issues, remote operations; etc.). Chapter 9 of this document goes on to provide specific techniques on the development of the SRP. However, these are just techniques. If you have a SRP that you think could be a benchmark, please share it with us. IBAC is always looking for ways to improve the SMS Toolkit and our education program. 1. If the operator utilizes cabin crew members, how often are they required to receive training on specific cabin systems? 2. How often should recurrent CRM and HF training be provided and who should receive it? 3. The initial and recurrent training programme shall include training to competency for all emergency and life-saving equipment installed, as well as drills in __________________. 4. Emergency procedures training for each type of aircraft is required for _________ and shall include instruction on the location and operation of all emergency equipment. 5. How often is the emergency procedures recurrent training required?